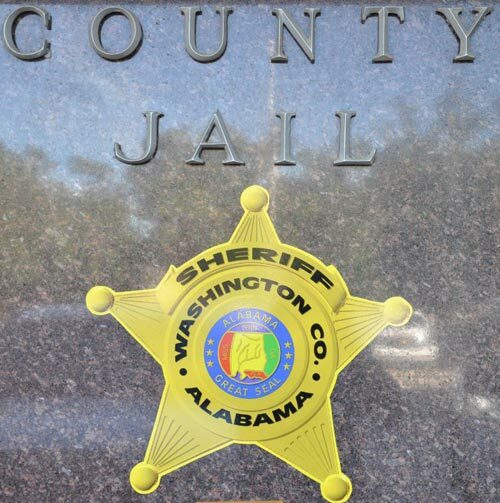 The Washington County Sheriff’s Office is responsible for the Washington County Jail. This facility houses an average of 80 inmates per day and is the detention facility, not only for the county, but for the towns of Chatom, Millry, and McIntosh. The Washington County Jail provides inmate labor for trash collection on Washington county roads, as well as assistance with projects for schools and the public library. This labor source saves taxpayers a significant amount of money each year. NAME of inmate should be on letter. You may list two (2) names on your visitation card. You have one (1) 15 minute visitation period each week. All visitation, with the exception of attorney visits, is non-contact. The people on visitation card should call the jail at 251-847-2202 to make an appointment to visit. Appointment requests are taken Monday thru Tuesday from 8:00 am until 4:00 pm. Appointments for visitation at the jail should be made on Monday or Tuesday the week of visitation. No children are allowed in the lobby. NO CELL PHONES, PURSES OR BAGS ARE ALLOWED DURING VISITATION, please secure these items prior to arriving for your visit. WE ARE NOT responsible for any items left in office while visiting your loved one. Dress code is strictly enforced. Females must be dressed appropriately or they WILL NOT be allowed to visit. Pants or skirts cannot be above the knee and shirts must cover chest area and have sleeves. Leggings, tank tops, shorts, or any other tight fitting clothes WILL NOT BE PERMITTED. For safety and security of the jail staff and inmates, no one will be released by bond between the hours of 4:30 P.M. and 8:00 A.M.
Cash Bond-Pay the total amount of the bond at the clerk’s office, inside the courthouse. Bring a copy of the receipt to the jail. Bond money will be returned to you after sentencing in the case. (The judge has the right to deduct court cost and fines from bond money). Bail Bondsman-The bonding company must be licensed in Washington County. ALL bonds also require a $35.00 bond-filing fee in the form of a money order. The money order should be made out to the Washington County Circuit Clerk. (Neither cash nor personal checks will be accepted).